Jakarta. Ahead of the upcoming Asian Games, President Joko "Jokowi" Widodo has urged communities and businesses to further their efforts in preventing forest fires in Indonesia. APRIL Group and its operating arm Riau Andalan Pulp and Paper (RAPP) have responded to the president's call by enhancing their fire prevention and suppression programs, and monitoring for potential hotspots. They have also provided their own teams and local communities with special equipment and training in fire management. In its sustainability commitments, APRIL upholds a "no-burn" policy. 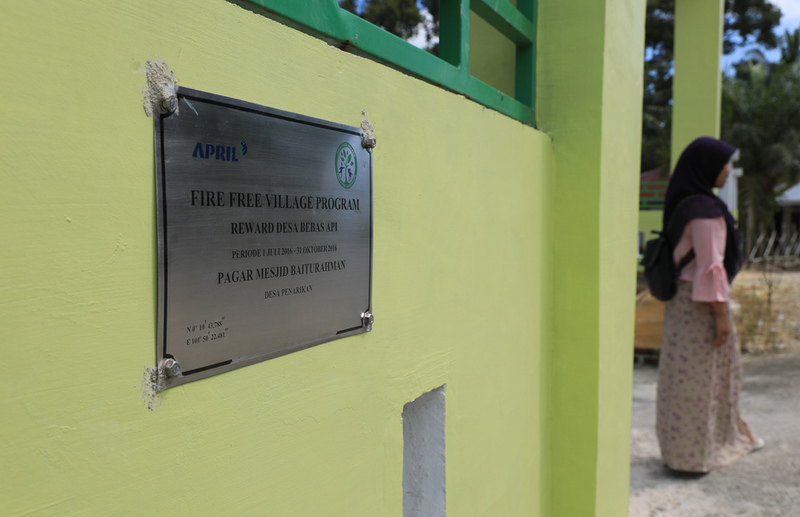 The company's Fire-Free Village Program (FFVP), a community-based initiative to target the root causes of fires and encourage alternatives to slash-and-burn agricultural practices, was set up in 2014, in response to the devastating annual wildfires during the dry season that significantly damaged Indonesia's environment. The idea behind the program was to complement the company's investment into fire suppression with community-focused prevention strategies, in hopes to achieve a long-term solution. Twenty-seven villages, covering 623,000 hectares in Riau, are involved in the program. The villages were selected based on fire risk assessment. Reviewing the program's effectiveness, independent NGO Carbon Conservation found that its implementation had supported an overall reduction of 97 percent in burnt land since 2014. In 2017, the number of fire incidents fell to 0.03 percent, from 0.07 percent in 2016. The FFVP has three stages. The Fire Aware Communities stage is dedicated to raising awareness about the importance of fire prevention among communities. It is focused on schools and villages. Currently, 212 schools in 50 villages are involved. "The impact of the program is visible beyond the classroom, it engages whole families," Sailal Arimi, fire prevention manager at RAPP, told the Jakarta Globe, narrating how a schoolboy came to him after several sessions to say that he had managed to convince his parents not to burn the forest. The second stage of the program focuses on training, equipping and supporting villages in safer agricultural practices. It involves economic rewards and other community assistance in return for no burning. Carbon Conservation data shows the program is increasingly successful. The third stage prepares villages to achieve Fire Resilient Community status. Upon completing the program, they become advocates of fire-free agriculture and sustainable fire prevention. Selected young people from these communities become Village Crew Leaders, local fire response experts. So far, nine villages have reached the resilience stage. "Language is very important when it comes to small communities. That's why we chose young people from the villages to ease communication. They know best how to influence their fellow villagers," said Sailal.